Successfully onlined Undo Tablespace 5. "kdrchk: Row piece pointing to itself"
next rowid (nrid) points to itself (chained row points to itself). with check code  (3rd ORA-600 argument). DBVERIFY reports the same corruption description if the block is corrupt on disk. shows the same corruption description. The flag bytes in these rows look incorrect. WARNING: AutoBMR fixed mismatched on-disk single block 83 with in-mem rdba 1400083. Dumping diagnostic data in directory=[cdmp_20110326210819], requested by (instance=1, osid=24742), summary=[incident=5081]. ARC0: Log corruption near block 604525 change 10551037679542 time ? The real logfile is retrieved from primary by the standby RFS process, then the log apply continue as usual. The fact that the standby redo logs are corrupted and identified as corrupt by the ARC process , makes it clear that there could be some sort of I/O errors which has caused. Reviewing the alert.log file it is clear that the RFS process fetched the new copy of the file which is corrupted and the issue has been resolved. This is more an issue to be concentrated from the system adminisration end to determine in case there are any issues at the I.O subsystem. necessary to troubleshoot Data Guard issues. This script is intended to be run via sqlplus as the SYS or Internal user. — troubeshoot Data Guard issues with an emphasis on Logical Standby. 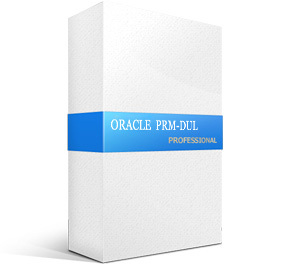 — supported by Oracle World Wide Technical Support. — The script has been tested and appears to work as intended. — You should always run new scripts on a test instance initially. — protection_mode after the next log switch. — The following query give us information about catpatch. — This way we can tell if the procedure doesn’t match the image. — SWITCHOVER_STATUS to be SESSIONS ACTIVE or TO STANDBY. — redo log is registered in the remote destination control file. — blank and status is VALID then the archive completed correctly. — created in preparation for switchover. — troubeshoot Data Guard issues. — after the next log switch. — operations it is acceptable for SWITCHOVER_STATUS to be SESSIONS ACTIVE or NOT ALLOWED. — least one remote destination that points the primary set but it should be deferred. — with the correct options else we will have issues during switchover. — the archive completed correctly. — number and size) then we should see a group# active. Non-fatal internal error happenned while SMON was doing logging scn->time mapping. cat $ORACLE_HOME/rdbms/admin/sql.bsq|grep -A 24 "create cluster smon_scn_to_time"
make: `/s01/10gdb/rdbms/lib/bbed' is up to date.